is a popular Chinese liniment sold to heal external damage such as bruises or sore muscles. There are several different recipes for Dit Da Jow, most of which are considered to be a "secret formula" passed down through oral and written history of Traditional Chinese medicine, martial arts, and modern Western science. Although Chinese tradition traces the origins of Chinese medicine to demigods named the Divine Plowman (Sheng Nung) and theYellow Emperor (Huang Ti), who are said to have lived in the early 3rd millennium B.C., the earliest available historical records of Chinese medicine are medical texts dating from the Han Dynasty via several Chinese materia medica. Dit Da Jow is an analgesic liniment traditionally preferred by martial artists. Often a martial arts master blends his unique mixture of many aromatic herbs such as myrrh and ginseng, which are combined to stimulate circulation, reduce pain and swelling, and improve healing of injuries and wounds. The tradition became known as "hit medicine". Many people have also found this sort of liquid analgesic to be useful for reducing the aching of muscles, and arthritis and rheumatism discomfort. All bruise liniment formulas contain ingredients to stop pain, reduce swelling and inflammation, and disperse stagnant qi and blood. It is composed of cooling herbs to reduce swelling and inflammation; and warming herbs that kill pain, promote circulation, and break up accumulations of stagnant blood and fluids. Herbs in the formulas according to TCM use "temperature" and "action". with each herb exhibiting an "energy" that has an effect on the body. Some are cold while others are hot. The overall combination of herbs in a Dit Da Jow formula determines its relative energy. Warmer jow is more often used in conditioning or chronic injury while cooler jow is more likely to be used for new injuries that may be inflamed. The action of each herb has specific uses. A Dit Da Jow should have one or two primary actions, determined by the herbs which are used in the Dit Da Jow formula. 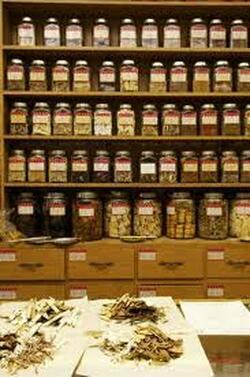 Today Dit Da Jow can directly obtained from a Chinese apothecary or master. Dit Da Jow is primarily used by martial artists to aid the healing of Iron Palm training. When you purchase the herbs to make your own Dit Da Jow, a glass jar and an alcohol medium like vodka or gin is used. Centuries ago Dit Da Jow was made by combining the herbs in a clay vessel and adding rice wine, then burying the vessel in the ground for months or even years; the longer the herbs sat in the alcohol, the stronger the Dit Da Jow became.